kidslooklikekats: Ciao My Shining Star: The Songs Of Mark Mulcahy. A proto-eulogy in memory of his recently deceased spouse? A far-off lament for the forgotten and long-since spoiled innocence of times past? Whatever the true meaning behind one of his many wonderful brain-children, Mark Mulcahy has spoken soulfully, of pure spirit, and the resultant release in sound will live forever - despite the physical limitations over this life and the loved ones we live it with. Last year, Mark's wife Melissa passed away rather suddenly, departing him and their twin daughters forever. In memory of his shining star, a tribute album is scheduled for release in September of 2009 featuring friends and fellow artists Thom Yorke, The National, Frank Black and Michael Stipe covering Mulcahy's solo works from Fathering to Love's The Only Thing That Shuts Me Up. The proceeds from the sale of the album will go to Mulcahy and his family. Keep Mark's music alive and thriving - pre-order or purchase a copy of the cd or mp3 album from amazon.com or the Loose Music website. Mark Mulcahy's career has spanned nearly three decades, including a decade as vocalist/songwriter of New Haven, Connecticut's Miracle Legion, singer/guitarist of the made-for-tv band Polaris which produced the soundtrack to the acclaimed "The Adventures of Pete & Pete" and provided the anthemic opening track "Hey Sandy", and opening for headlining acts such as Oasis and Jeff Buckley. 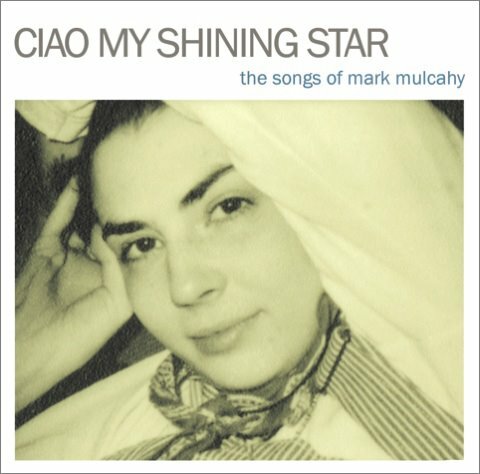 Radiohead's Thom Yorke has given homage to Mulcahy and his work, and will appear on Ciao My Shining Star: The Songs Of Mark Mulcahy covering "All For The Best". 1. Thom Yorke "All for the Best"
2. The National "Ashamed of the Story I Told"
3. Michael Stipe "Everything’s Coming Undone"
4. David Berkeley "Love's the Only Thing That Shuts Me Up"
5. Dinosaur Jr. "The Backyard"
6. Chris Harford and The Band Of Changes "Micon the Icon"
7. Frank Black "Bill Jocko"
8. Vic Chesnutt "Little Man"
9. Unbelievable Truth "Ciao My Shining Star"
10. Butterflies of Love "I Have Patience"
11. Chris Collingwood of Fountains of Wayne "Cookie Jar"
12. Frank Turner "The Quiet One"
13. Rocket From the Tombs "In Pursuit of Your Happiness"
14. Ben Kweller "Wake Up Whispering"
15. Josh Rouse "I Woke Up in the Mayflower"
17. Hayden "Happy Birthday Yesterday"
18. Juliana Hatfield "We're Not in Charleston Anymore"
19. Mercury Rev "Sailors and Animals"
20. Elvis Perkins "She Watches Over Me"
21. Sean Watkins "A World Away From This One"